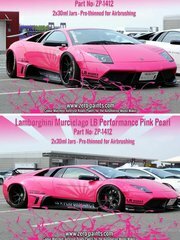 Specificaly formulated tone for the Lamborghini Murcielago tuned by the guys at "LB Performance". 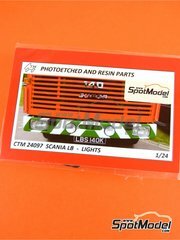 Photo etched parts with a tinted resin drop for replacing the corresponding parts on Scania LB 110 and LB 140 scale model kits. 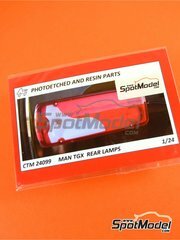 Photo etched parts with a tinted resin drop for replacing the rear light optics on MAN TGX trucks. 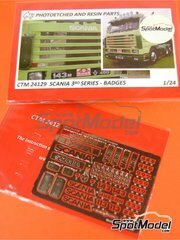 Scania badges for all Scania Series 3 trucks. 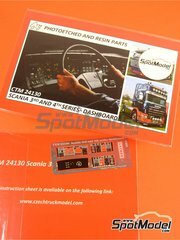 Full color printed photo etched parts for Scania Series 2 trucks dashboard. 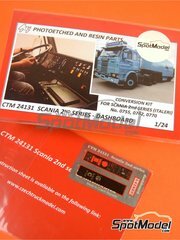 Full color printed photo etched parts for replacing the dashboards of Scania series 2 and 3 trucks. 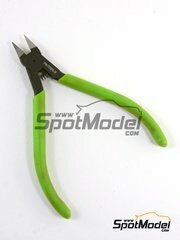 Compatible with both the left and the right handling versions. 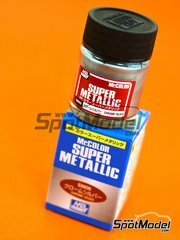 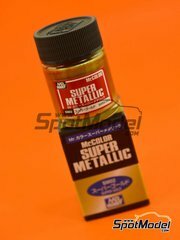 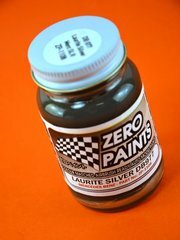 New Super Metallic paint series by Mr.Hobby, featuring enamel types with fine metallic particles. 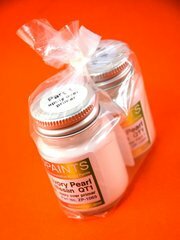 It can be applied with brush and even airbrush. 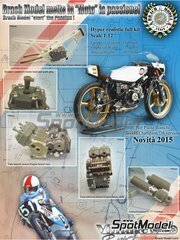 Very interesting resin model of the 1976 World Championship Morbidelli 125cc. 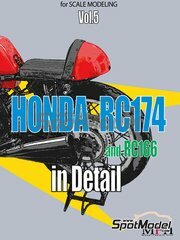 This is the very first motorcycle kit by the veteran Italian manufacturer Brach Model that sees the light, and... we love it!!! 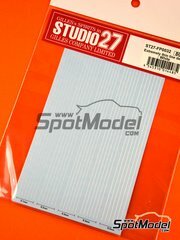 A5 sized decal sheet with white lines, measuring 0,1mm, 0,2mm, 0,3mm, 0,4mm and 0,5mm width. 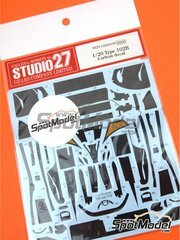 Set of two decal sheets specifically designed with the carbon fiber and kevlar patterns used on the Lotus Judd 102B, fitting your Tamiya kit like a glove. 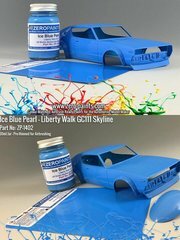 They are gorgeous!! 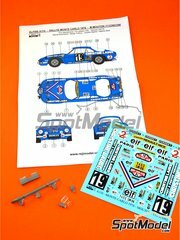 In addition to the decals for recreating the decoration, this reference also includes resin parts for replacing the bumber, license plates and several other parts from the original Tamiya kit. 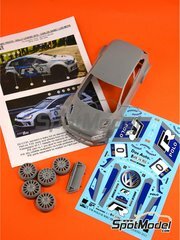 These resin made bodywork and wheel rims, photo-etched parts, and an interesting decal sheet, will lead you to transform your Belkits Polo in the machine used by Carlos Sainz and Luis Moya in 2012 Rally Legend. 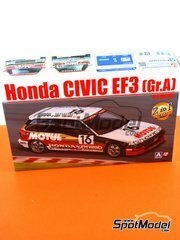 A new Aoshima kit, developed by Beemax, about the Group A compliant Honda Civic. 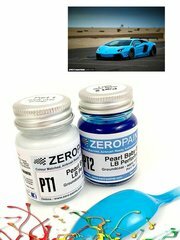 The kit includes chromed parts, rubber tyres, fully detailed interior and an extensive parts break up. 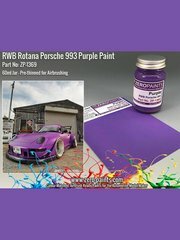 Tone purple formulated to decorate the RWB Rotana Porsche 993. 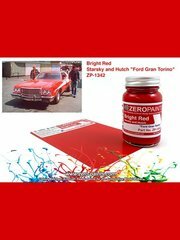 Red paint specificaly formulated to match the one used in the Ford Gran Torino starring at the TV series 'Starsky and Hutch', perfect for Revell's kit. 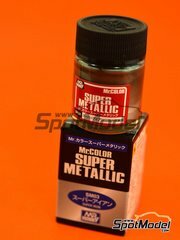 Served airbrush ready in a 60ml bottle. 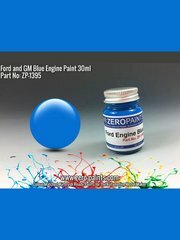 Blue color tone as used in Ford and General Motors engines.